Home/Blog / Can Blepharoplasty Improve My Vision? 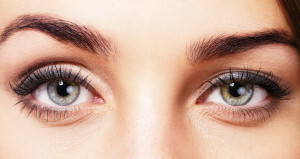 Although many people think of eyelid surgery as a purely cosmetic procedure, the truth is this treatment can also provide a functional benefit. Dr. Ali Sepehr, our board certified facial plastic surgeon, can perform blepharoplasty (eyelid surgery) to reduce excess skin that has become so inelastic it obstructs one’s vision. If you’re experiencing this concern, the great news is that this technique is often covered at least in part by medical insurance. As skin loses elasticity, it can sag. This can happen to skin anywhere on the body, including the eyelids. When eyelid skin begins to sag, the tissue can limit vision by literally blocking your view. By trimming away excess skin, your eyes can open more fully and smoothly, allowing you to see more clearly. Of course, the additional benefit is that your eyes can appear more youthful-looking, which can have an effect on your entire facial aesthetic. Dr. Sepehr can determine if blepharoplasty can help to improve your vision, but you should talk with your insurance agent to learn more about what your policy covers. In many cases, your medical insurance will pay for a portion of your treatment. We also offer financing options to assist you in bringing this procedure into your budget. Contact our team for additional information or to schedule a consultation.